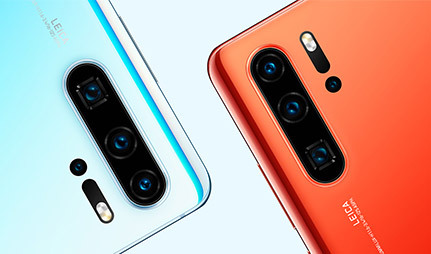 The Huawei P30 Pro features a 40MP + 20MP + 8M + TOF quad camera system, designed to provide detailed results even in low-light environments. This handset also boasts a super-sized 6.47-inch OLED display which is perfect for your favourite blockbuster movies and games. £1229 total cost over 2 years What's This? £967 total cost over 2 years What's This? £984 total cost over 2 years What's This? £1062 total cost over 2 years What's This? £1095 total cost over 2 years What's This? Pre-order your Huawei P30 or P30 Pro before 04 April 2019 to claim a free Sonos One - RRP £199. This intelligent smart speaker arrives with Alexa functionality, perfect for asking questions, requesting news, and playing music via voice commands, when your hands are full. With simple a Wi-Fi connection, you can fill your room with rich and detailed playback of your favourite music, and skip, replay, or adjust volume with ease. With voice activation, your friends and family can all get involved, letting everyone enjoy their favourite tunes. 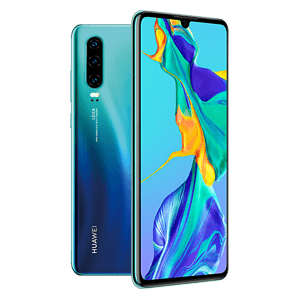 Featuring an eye-catching design, the Huawei P30 Pro showcases a range of ambient colours with a beautiful gradient effect. Crafted from double-sided glass, the handset boasts a sleek, curved design that both looks premium and is a pleasure to hold. To the front of the device is 6.47-inch OLED display, which is perfect for watching your favourite blockbuster movies, playing graphics-heavy games, or viewing incredibly detailed photos taken with the P30 Pro’s next-generation camera. The main camera on the Huawei P30 Pro combines four separate lenses to ensure professional-looking results. This quad camera system, engineered by Leica, features 40MP + 20MP + 8M + TOF lenses for superb results in any condition, such as after sunset. The latest light fusion sensor allows more detail in every shot, even in extreme low-light conditions, while a 5x telephoto zoom lets you see further than before. To the front of the device, there’s a 32MP secondary camera to ensure stunning selfies. Keeping the Huawei P30 Pro going all day is a huge 4200mAh battery, with AI power management to ensure that power is distributed efficiently. Other impressive battery features include Wireless Quick Charge for a speedy power-up without having to worry about wires, and Wireless Reverse Charge which lets you share your battery power with other compatible devices. 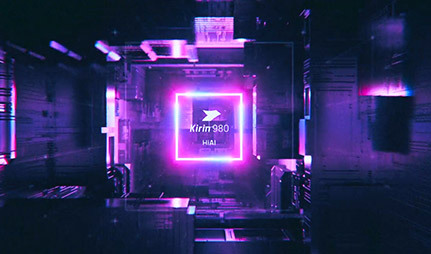 Keeping the handset running smoothly is the revolutionary Kirin 980, which is one of the most powerful AI chipsets available. This ensure a smooth user experience without the lag.